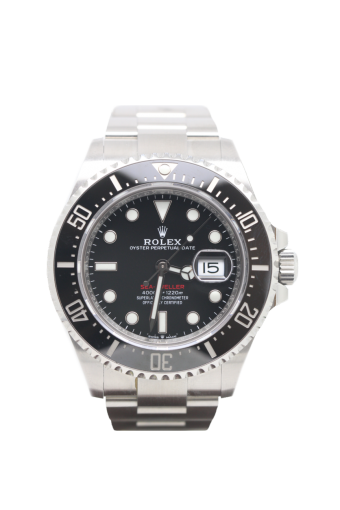 This stunning new model Rolex Sea Dweller 4000 126600 is the ultimate Rolex divers watch complete with a helium escapement,date function,rotating bezel and quick adjust bracelet. The all new 43mm watch case is a steel with black ceramic inset rotating bezel.The oyster bracelet is steel whilst the dial is classic Rolex black with the return of the legendary red print to the word Sea Dweller. Cheshire Watch Company are supplying this watch complete with all boxes and Paperwork which is dated 2018 and the watch is still unworn.